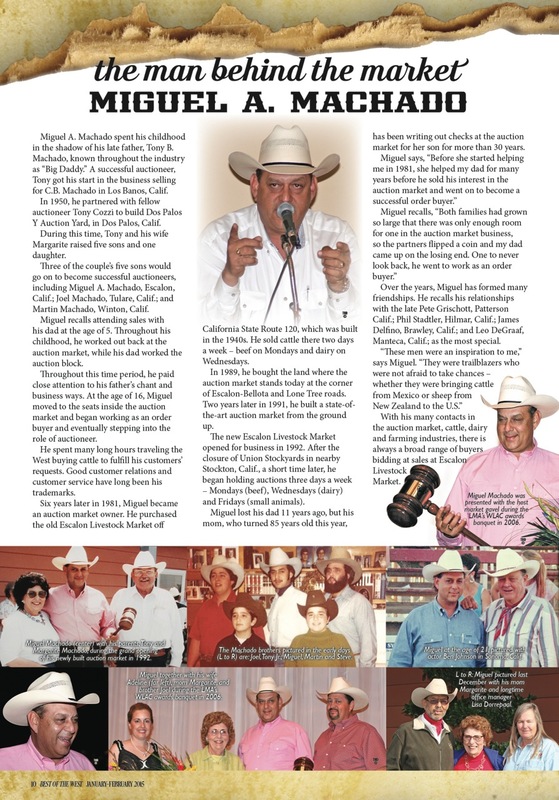 Miguel A. Machado (1957-2018) was the owner and president of Escalon Livestock Market for over 30 years. 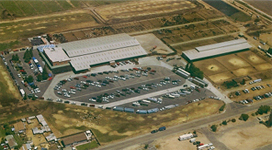 He was a seasoned veteran of the livestock marketing industry with an excellent reputation for obtaining consistent, competitive sale prices for livestock sold at his yard. He found his calling at an early age. With his auctioneer dad at his side, he began auctioneering as a teenager in California’s Central Valley. As a cattle order buyer, he spent many long hours traveling the western states buying cattle to fulfill his customers’ requests. Good customer relations and customer service were his trademarks. 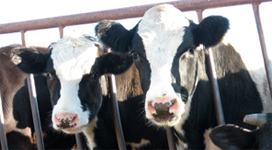 Youth agricultural programs were part of his passion for the livestock industry. He was an ardent supporter of youth who participate in the National Future Farmers of America (FFA) and 4-H, a youth organization administered by the USDA. On other occasions, at a parent’s request, he brought wayward youngsters to the ELM yard to teach them the meaning and reward for hard work. 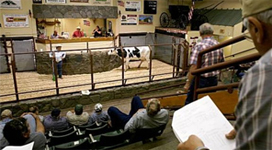 With his many contacts in the auctioneering, cattle, dairy and farming industries, there is always a broad range of buyers bidding at the ELM stock sales. Miguel is no longer with us, but we are committed to carrying on his many fine traditions. 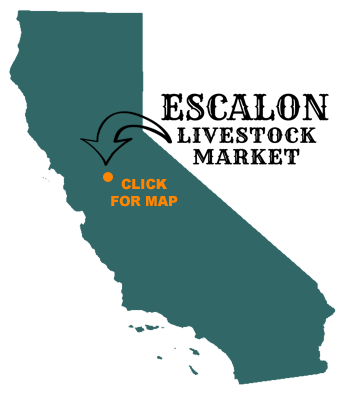 You can reach Escalon Livestock Market by calling (209) 838-7011, or you can click the following link to reach us by email: escalonlivestockmarket@yahoo.com. Designed & published by Kelli Toledo, Best of the West Magazine.